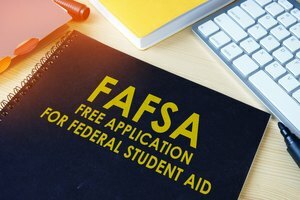 FAFSA, or the Free Application for Federal Student Aid, is one of the most important documents that you will fill out during your college career. Your college applications and essays determine if you will be accepted to the college of your choice. Your FAFSA application helps to determine how you and your family will pay for your education. 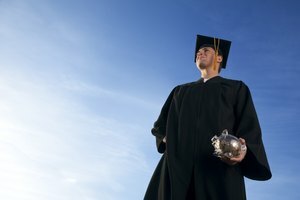 The cost of a college education has skyrocketed in recent years, so if you are like most people, you may not have enough money to pay for a college education out of pocket. The FAFSA is the form that you will fill out that helps the government to determine how much money in federal grants and student loans you are eligible for. Although the program as a whole is commonly called FAFSA, the FAFSA is actually the name of the financial aid application that you fill out. Filling out your FAFSA accurately and by the deadline can help you to get any financial aid that is available to help you pay for college. The FAFSA is available either online or as a paper application. If you choose to fill out the application online, you will create an FSA ID and password. This FAFSA loan login will allow you to fill out, sign and submit your FAFSA application, to correct information and to repeat information from a previous year's application. If you decide to fill out a paper FAFSA, then you can choose to download a PDF to print out and fill in. You can also request a paper application by calling 1-800-4-FED-AID, or you can ask your school or guidance counselor for a copy. Whether you fill out a paper form or an electronic one, you will need to have some information available. This includes your Social Security Number or Alien Registration Number and federal tax returns, W-2s or any other records of earned income. The FAFSA takes into account both your income and your parents' income as well as any savings that you have. You should also have the submission information for your colleges of choice handy so that you can include this in the designated areas of the application. This ensures that your financial aid information goes to the colleges you would like to attend so that they can create a financial aid package for you. The FAFSA takes most people less than an hour to fill out. Although there is no official FAFSA loans deadline, it is recommended that you submit your application as soon as possible after October 1 so that you can get whatever money is available to you for the following school year. Even if your family income is high, or you do not anticipate getting any federal student aid, you should still submit a FAFSA since many schools use this information to help make decisions about merit-based scholarships. Once you have submitted your application, you will be wondering, "How long does a FAFSA take to process?" The answer is that an online application takes from three to five days to process. An application that is mailed in takes seven to 10 days to process. After your FAFSA is processed, you receive a Student Aid Report. Your Student Aid Report or SAR summarizes your application information and lists your Expected Family Contribution or EFC. This is the amount that your family is expected to contribute toward your college expenses. It also determines your eligibility for Pell Grants, FAFSA loans and other forms of financial aid. This information is sent to the colleges that you designated on your application, and the colleges will use this report to help construct a financial aid package for you. This financial aid package may include a combination of loans, grants, work-study opportunities and scholarships. You do not need to fill out a new FAFSA for each semester of school, but the answer to, "Do you need to fill out a FAFSA every year?" is yes. This is because your family's financial situation and Expected Family Contribution can change from year to year. If you completed an online FAFSA last year using an FSA ID, you can often use this information to complete a Renewal FAFSA the following year. A Renewal FAFSA allows you to reuse your information from the previous year and only fix the information that has changed from year to year such as your household income. 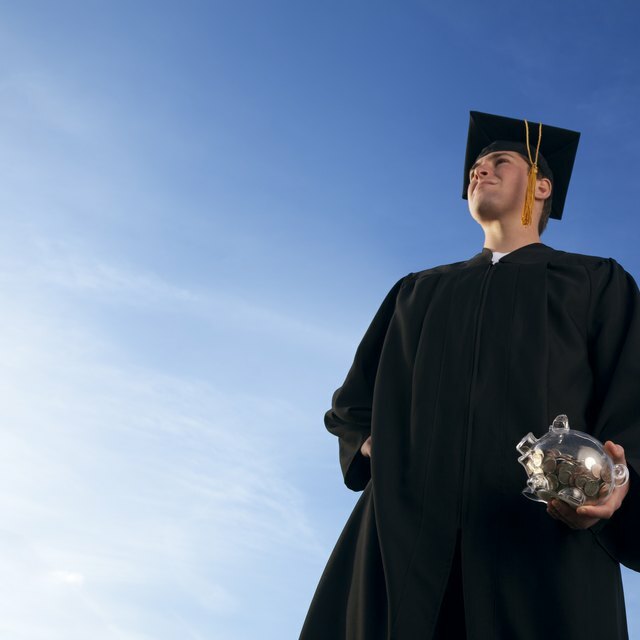 There are several different types of financial aid and each type has its advantages and disadvantages. Because college is expensive, you should carefully consider each type of financial aid that your school of choice offers before you accept it. Scholarships and grants are the easiest types of financial aid to accept because they do not need to be paid back. Scholarships and grants can come from a variety of sources. Many colleges offer merit-based scholarships to entice high-achieving students into attending their programs. Some private foundations offer scholarships to qualifying students. You can search for and apply for private scholarships before you begin the college application process or as you progress through high school. These scholarships can typically be used at any accredited college. Some scholarships are one-time gifts while others extend from year to year. Grants, such as Pell Grants, are given by the government based on financial need and also do not need to be paid back. For the 2017 to 2018 school year, the maximum Pell Grant award was $5,920. If you accept scholarships or grants from your college or from private foundations, be aware that you typically will need to maintain a specific grade-point average with either part or full-time enrollment in order to keep them from year to year. Work-study is another option for financial aid. If you are part of a work-study program, you work part time on or near campus as a way of paying for your education expenses. This is a need-based program, meaning it is based on your income on the FAFSA. Most students who participate in work-study programs work on campus, but some work off campus for related programs. Working in this type of program, you earn at least the federal minimum wage and can earn more depending on the type of job that you have. There are no minimum or maximum award amounts for work-study programs. You will be paid by the hour, and your school must pay you at least once a month. Typically schools pay you directly, unless you authorize them to use the money to pay your education expenses. Remember that work-study money is intended to help you pay for your education, so if you choose to have your school pay you directly be sure to use the money for education-related expenses. If you choose a work-study program as part of your financial aid package, be sure to carefully evaluate whether you will be able to work part time while attending class and keeping your grades high. The money that you earn as part of a work-study program does not need to be paid back after you graduate or leave school. Loans are a common part of a financial aid package. They are also the part that you should be most cautious about accepting because they accrue interest and have to be paid back after you graduate or leave school. There are two basic types of federal student loans, subsidized and unsubsidized loans. Subsidized loans are need based. The federal government pays the interest on subsidized loans until you leave school, and then you are responsible for the payments and the interest once your grace period has passed until you finish paying off the loan. The maximum annual FAFSA amount for subsidized loans is $5,500. Unsubsidized loans are not need based. They accumulate interest starting the day that you borrow the money and continue to accumulate interest until you finish paying them off. The maximum annual FAFSA amount for unsubsidized loans is $20,500. 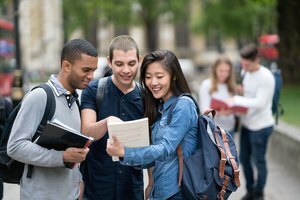 Private student loans are another option that some students consider, but the terms and interest rates for these loans can vary widely, so you should be cautious about taking them. Once you commit to taking FAFSA loans, you need to have a plan for paying them back. 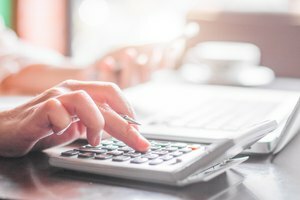 Try not to borrow more money than you absolutely need to pay your school expenses each year, and use the FAFSA website to track your loan amounts. Remember that your loans will accumulate interest either from day one or after you leave school. If you are able to start paying back your unsubsidized loans while you are in school, this is optimal since it can help to keep the interest on these loans from accumulating. If this isn't an option, use the federal Repayment Estimator to get an idea of what your loan payments will look like when you finish school. You will need to choose a repayment plan once you are out of school and start paying back your loan. You can choose a standard repayment schedule based on your current or future income. Most repayment plans will tell you the monthly payment, when your loan will be paid off and the total amount that you will pay with interest. If you need to change your repayment plan, or if you are having trouble paying your student loans, you should contact your student loan servicer for assistance. If you simply stop paying your loan, it can cause it to go into default, which can affect your credit score and have other negative repercussions. Some circumstances allow you to apply for either a deferment or forbearance for your student loans. This allows you to temporarily stop making payments or to temporarily reduce the amount that you are paying. In some instances you are still required to pay the interest that accumulates while your loan is in deferment. During a forbearance, you are responsible for paying the interest that accumulates while you are not paying on your loan. You can apply for a loan deferment if you are unemployed, in a graduate fellowship program, if you are on active duty military service or if you meet certain other conditions. You can apply for a loan forbearance if you are in a medical residency program, you qualify for teacher loan forgiveness or you meet certain other criteria. If you are having trouble paying your student loans, you should contact your loan servicer to see if a forbearance or loan deferment is a good short-term solution for you. If you anticipate that difficulty paying your student loans will be a long-term situation, contact your loan servicer to see if you are eligible for a revision of your student loan. 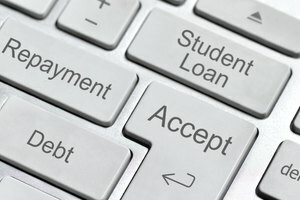 Student Aid: Do You Need Money for College? Zogheib, Stacy. "What Are FAFSA Loans?" Synonym, https://classroom.synonym.com/what-are-fafsa-loans-13714942.html. 18 September 2018.